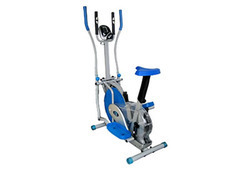 Wholesale Trader of a wide range of products which include metallic double burner and metallic double burner bike. We have gained expertise in offering our patrons a quality range of Metallic Double Burner. The offered product is designed in compliance with international quality standards using excellent quality raw materials. This product is available in different specifications and can also be customized as per the specific requirements of clients. Offered product is inspected on numerous parameters in order to deliver a defect free range. Keeping track with latest market development we are actively engaged in offering a wide assortment of Metallic Double Burner. 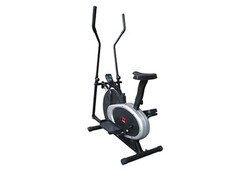 This product is accessible on number of models as per the customer’s requirements. Offered product is manufactured using superior grade raw materials and latest technology in fulfillment with the norms of industry. Our range makes easier in reaching fitness goals than ever, thus our products are highly demanded by our clients all over the nation. 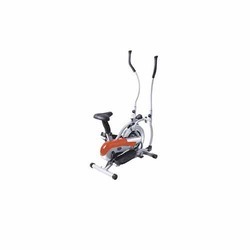 Owing to our vast industrial experience in this domain we are actively engaged in offering Metallic Double Burner that can be used as a cycle or cross-trainer. The offered product is manufactured in our high-end production facility with high precision using high grade raw material. These products are strong and sturdy in nature and ensure long lasting service life. These products are available in unique features and designs. We are the reckoned supplier & retailer of the excellent range of Metallic Double Burner. Our provided product has computer display for hand pulse, time, speed, distance and calories. 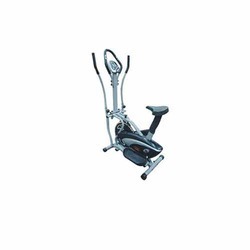 The offered product is featured with additional handle support in front & Brake system for tension control. Through cutting edge technology and software, we ensure that the users stay connected and fulfill their desires by this range.